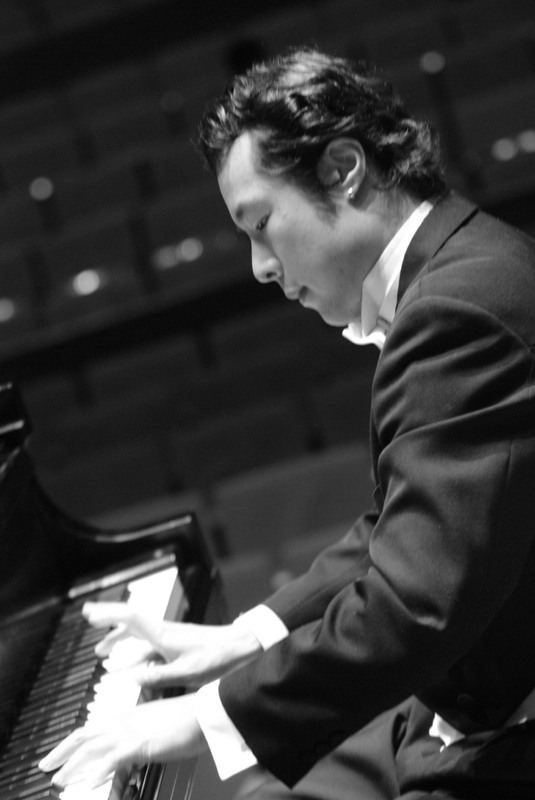 Pianist/composer Julian Yu was born in Shanghai, China and started to study the piano at an early age and soon displayed special talents for music. His remarkable piano performance earned him a place in China’s prestigious Shanghai Conservatory of Music, where he studied under Da-Chun Yu. He was the first prize winner of Shanghai Competition for Young Pianists, a contest that drew first-class young contestants from the city and other parts of the country. He was also a prize winner in the Hong-Kong International Competition. At the age of 15, he performed the Rachmaninoff 3rd Piano Concerto with the Shanghai Symphony Orchestra. For his distinguished achievements and records, the Ministry of Culture of China awarded him the Bao-Gang Prize, an honor that only goes to a select few. In 1994, Julian’s burgeoning talents caught the eye of the Manhattan School of Music, who offered him a full scholarship. Embarking upon a new pursuit of his music profession, Ziliang came to New York and joined the Manhattan School of Music, where he trained under Solomon Mikowsky and Donn-Alexandre Feder . In 1999, he received his Bachelor’s Degree of Music, and two years later, in 2001, he received his Master’s Degree of Music from the same school. Julian was a recipient of the Elva Van Gelder Memorial Award and Levy Blanche Award. He was the 1st prize winner of MTL Piano Competition at Carnegie Hall, and at Dora Zaslavsky Koch Competition. He was also a prize winner in the Berkley Piano Competition. A soloist, Julian has performed with numerous world class symphony orchestras in Spain, United States, Korea, and China under ranking conductors Zdenek Macal, Lawrence Smith, Noorman Widjaja, Kim Nan Se, Park Jung-Oh and Guo-Yong Zhang. Julian is also a composer of the cross-over genre. His music is filled with warmth and sentimentalism. There is intensity beneath tranquility; there are vivid images portrayed by his captivating melody; there is depth and sophistication mingled with elegance and simplicity. He has recorded and published seven CDs. Among them, “Winter Sonata”, Silky Sky, Reverie had been released by YBM, SONY-BMG and AMC. All his inspirations and ideas spring from his true love for life and for God, rendering his music more genuine and heartfelt. His strong background as a classical pianist allows him to play any music with great sensitivity and nuance, delivering a profound musical and emotional appeal to the audience. He is, in CODA Magazine’s words, “redefining Contemporary music with passion and love.” Mr. Yu currently serves as the director and the chairperson of the Joyous Music School and Piano Masters of New York. 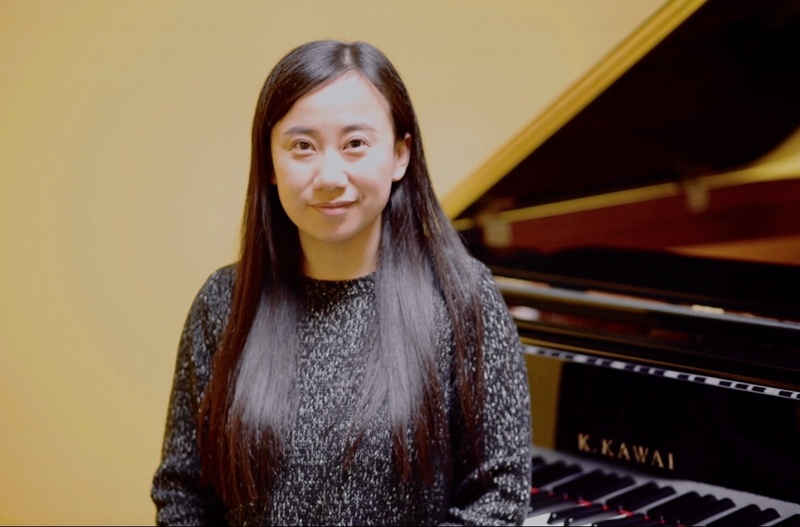 Ms. Kelly Lau—Piano, B.M., Shanghai Conservatory of Music; Ms. Lau was trained at the Shanghai Conservatory of Music starting in a special program for gifted pre-college students. Her appearances in China have led to several awards and prizes including the Shanghai Piano Competition. 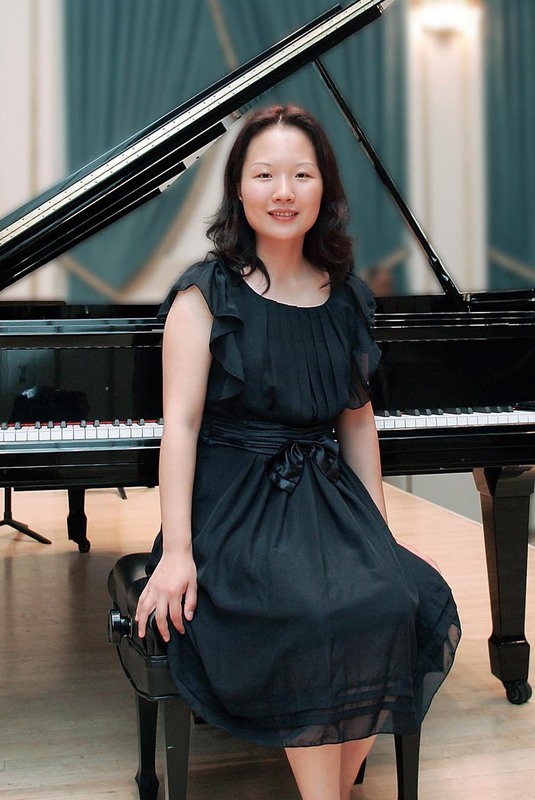 In addition to enjoying a successful performance career, Ms. Lau was a member of the piano faculty in the Shanghai Symphony Orchestra Music School. Ms. Lau is also deeply involved in chamber music. She is a member of the Shanghai Trio, which has received favorable reviews. Tamara Kim was born and raised in Queens New York, now 23 she attended Fiorello H. LaGuardia High School of Art and Performing Arts as a piano and violin double major. Tamara was a winner of the LaGuardia Concerto Competition, having played the Mozart Triple Piano Concerto. She received The ASCAP Foundation Ira Gershwin Scholarship in 2007. In the following year her trio was one of the winners for The Chamber Society of Lincoln Center High School Competition. She also received the Music Chairman’s Association Certificate of Merit and the Principal’s Award for Contribution to the School. She was accepted to be a Hadar Scholar from the Richard & Mica Hadar Foundation in 2008. Tamara joined the New York Symphony and participated in their Chamber Music Program; her trio played at Weill Recital Hall as one of the winners in the competition. She was also a finalist in the 2010 New York International Piano Competition. She received her BM and MM from the Manhattan School of Music under Dr. Marc Silverman. Japanese classical pianist Ms. Kei Mori is a prizewinner of multiple competitions including the Tureck International Bach Competition, National Young Artists Chamber Music Competition, Sound Symphony Concerto Competition, Yonkers Philharmonic Concerto Competition, and the AMTL Scholarship Awards Competition. Most recently, she received honorable mention at the Eisenberg-Fried Concerto Competition. She has performed as soloist with the Yonkers Philharmonic Orchestra and the Sound of Symphony Orchestra. 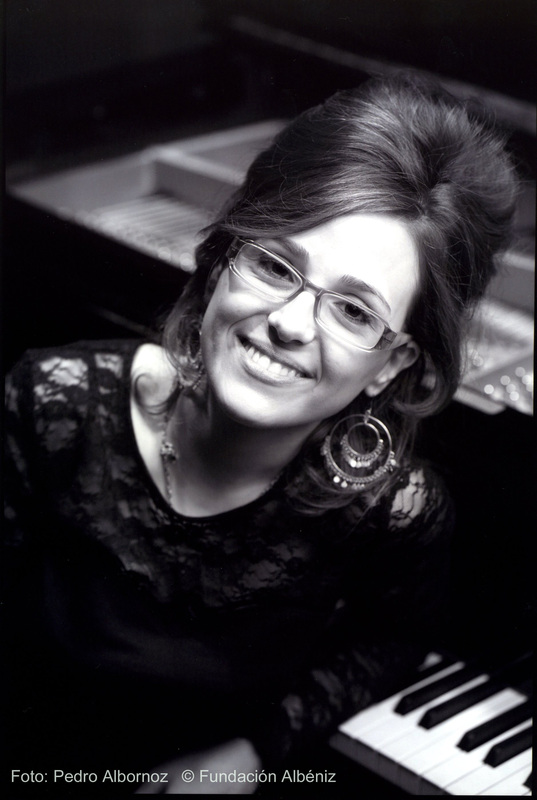 Keika has performed in masterclasses with well renowned pianists including Alessio Bax and Jose Ramon Mendez. She has participated in the International Academy of Music in Italy and the Stony Brook International Piano Festival in New York. Ms. Mori’s formal music education includes Manhattan School of Music under the tutelage of Phillip Kawin. María Manzano is a Spanish pianist whose restless and dynamic temperament has brought her to many of the world’s most important musical cities, such as Granada, Madrid, Barcelona, Paris and New York. Having learnt from great musicians, like her main piano teacher and mentor Albert Attenelle, and also Christopher Elton, Pascal Rogé, Antonio Sánchez Lucena, Deirdre O’Donohue and Horacio Gutierrez, among others, her keen ear for poetry in musical performance has made her a sensitive and committed pianist. Her performances of Romantic and Spanish Music have been praised by the critics “for their style and technical accuracy” and because of “the intense expression she infuses into her communicative playing”. She has given concerts in many major European concert halls, such as Salle Cortot in Paris, Collège d’Espagne at La Cité Internationale Universitaire de Paris, Fondation Biermans-Lapôtre of Belgium and Luxembourg, Liceu Auditorium and Gaudí’s La Pedrera Concert Hall in Barcelona, The National Concert Hall in Madrid, Euskalduna Palace in Bilbao, and others. She has appeared in Classical Music programs on TV and has played before such personalities as Her Majesty the Queen Sofia of Spain. María has also given recitals at important New York City venues, such as Carnegie Hall, Provincetown Playhouse, Blackbox Theater and Saklad Auditorium. Recently she was invited to perform at the Seattle International Piano Festival with a program that included the works of the great Spanish composers Isaac Albéniz and Enrique Granados. In her extensive academic career she has studied at some worldwide renowned music schools such as: Liceu Conservatory in Barcelona, L’Êcole Normale Supérieure de Musique “Alfred Cortot” in Paris, New York University and Manhattan School of Music, where she graduated from Professional Studies with the best results (Dean’s List) after studying with the legendary pianist Horacio Gutierrez. After being selected as the best pianist at the music competition of Ferrer-Salat Music Foundation in Barcelona, the foundation decided to support her studies in Barcelona, Paris and New York with full tuition scholarship. She has been awarded several other scholarships and prizes. Among them are those given by the Pedro Pons Foundation, the Spanish Association for Performer Musicians, New York University (NYU Talent Scholarship), the Andalusia International University, Artmusic, Ferrer-Salat Foundation Young Talents Grant, Madrid Conservatory First Prize, the Spanish College Music Competition at the Cité Internationale Universitaire de Paris, the “Paper de Música” International Competition and the “Cambra de Barcelona” Competition. She has had always a strong passion for teaching and sharing all the knowledge and valuable advice she has been receiving during her career. Proof of this are more than fourteen years of experience teaching privately and in music schools, conservatories and universities in Cadiz, Madrid, Barcelona, Paris and New York. María has been a member of the Adjunct Piano Faculty at New York University and is regularly invited to serve as a jury member in piano exams and competitions. María Manzano is the founder and director of Barcelona Piano Academy (BPA), an international summer piano festival and competition featuring recitals and masterclasses with a faculty that includes many internationally renowned teachers and that every year attracts students from all over the world. Yuan Xiaoxiao is a classically trained pianist and bassoonist. A native of Shanghai, Ms. Yuan studied in Shanghai Conservatory of Music from 2005-2011. She received her bachelor degree in music from Yong Siew Toh Conservatory of Music in Singapore with a full scholarship. In 2017, Ms. Yuan received her master degree in music performance from Mannes School of Music. Ms. Yuan is a wonderful performer and a passionate educator. In the last few years, she has performed in venues such as the Carnegie Hall, Alice Tully Hall at Lincoln Center, DiMenna Cary Hall, Oriental Art Center and Shanghai Concert Hall. Natasha Stollmack is an active solo and collaborative pianist from New York. She has performed as a member of many ensembles, including the University of Delaware’s Symphony Orchestra, Wind Ensemble, and Percussion Ensemble, several piano duo projects, and many chamber groups. Recent collaborations include “Meaningful Connections: A Voice of Her Own” at the University of Maryland, a concert in which she and her colleagues curated a program exclusively featuring female composers. Her international performances span locations throughout Trinidad and Tobago, as well as the island of Taiwan. In addition to her performing career, Natasha is an experienced and sought-after pedagogue in the NY and DC metro areas. She has taught students of all ages and abilities and works diligently to cultivate their strengths and improve their weaknesses. Natasha’s teaching style incorporates her own values as a pianist, such as expression, tone, and score integrity in an accessible and intriguing way that guides students in crafting their individual musicality. In addition to private and group lessons, she is experienced in large-group instruction, particularly the group piano curriculum which she taught at both the University of Delaware and the University of Maryland. Natasha has been the recipient of various awards and scholarships, including the David Leibig Memorial Grant, the Otto Kahn Arts Scholarship by the Friends of Oheka Castle, and was named a “Woman of Promise” at the University of Delaware. Ms. Stollmack holds a B.M. in Piano Performance from the University of Delaware, where she studied under Marie-Christine Delbeau, and a M.M. in Piano Performance from the University of Maryland, College Park under Dr. Mayron Tsong. Natasha is currently pursuing her Doctorate of Musical Arts at Stony Brook University under Christina Dahl. Pianist Nara Avetisyan was born in Yerevan into an artistic family. She began her piano studies at the age of six at the Alexander Spendiaryan Music School, and just a year later won her first competition. An in-demand artist, Ms. Avetisyan has given recitals in Vienna, Munich, Geneva, London, Monaco, Sochi, Boston, Los Angeles and other European and U.S.
Ms. Avetisyan is currently pursuing her Doctor in Musical Arts degree (DMA) at Stony Brook University with Gilbert Kalish and Christina Dahl. 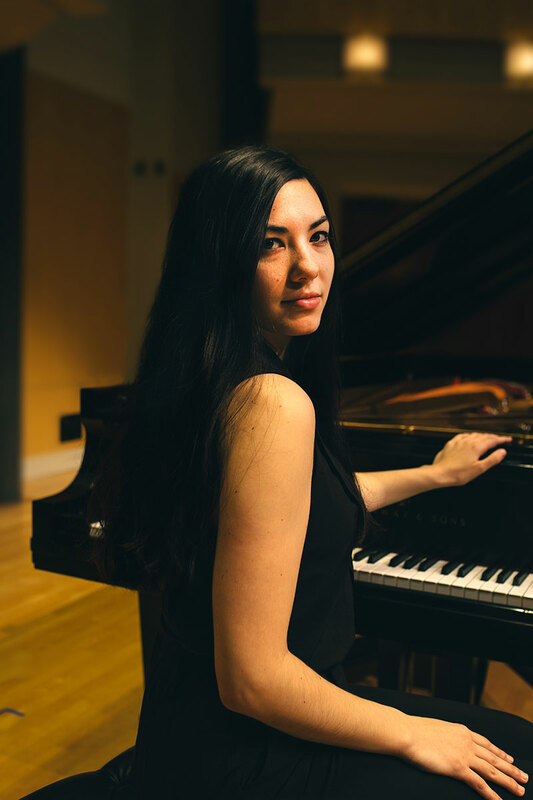 In 2017, she finished her Master’s double-degree at the Cleveland Institute of Music (CIM) in both solo and collaborative piano performance, studying with the world famous pianist and pedagogue Sergei Babayan and Anita Pontremoli, respectively. Ms. Avetisyan received her B.M. degree in piano performance from CIM in 2014 as a student of Sergei Babayan. She also holds a certificate in piano pedagogy from CIM. In 2014, Ms. Avetisyan received first prize in the “Grant” piano competition in Sioux Falls. She has received prizes in numerous competitions, including the Balys Dvarionas International Piano Competition (Lithuania), “Konzerteum” International Piano Competition (Greece), “Le Muse” International Piano Competition (Italy), and the “Chopin Rome 2008” International Piano Competition (Italy). 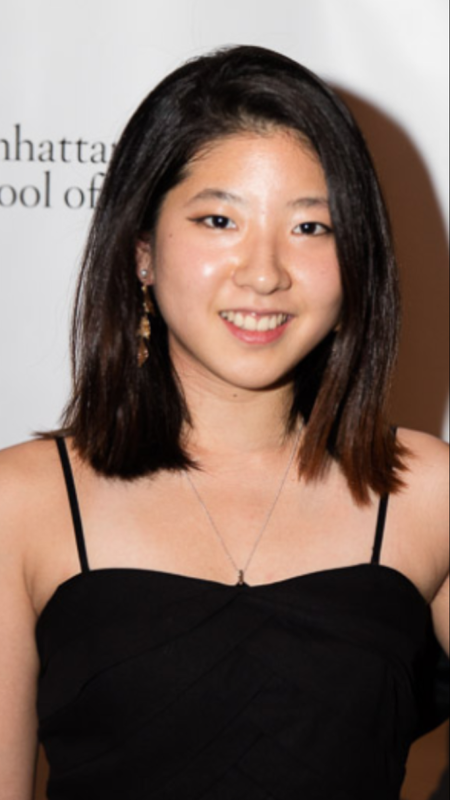 As a winner of the 2016 CIM Concerto Competition, Nara performed with the CIM orchestra in Severance Hall, under the baton of the well-known conductor Jahja Ling. Ms. Avetisyan has been a recipient of Sergei Babayan Prize in Piano, and Dr. Joseph and Bess Scharff Leven Prize in Piano at CIM. Ms. Avetisyan has performed with the Yerevan Philharmonic Orchestra, Youth Chamber Orchestra, Armenian Philharmonic Orchestra, National Chamber Orchestra of Armenia, the Cleveland Philharmonic Orchestra, and the CIM Orcherstra. 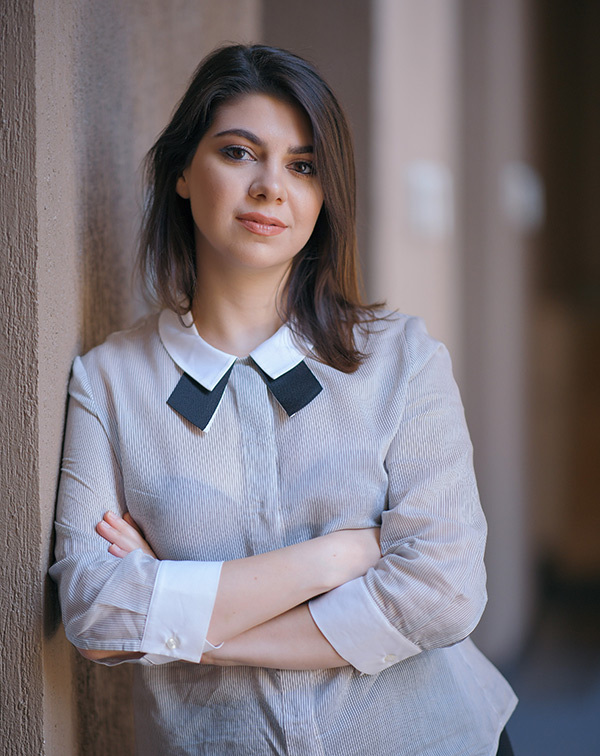 Ms. Avetisyan took part in festivals such as Cleveland’s Art Song Festival, Pianofest in the Hamptons, Rites of Spring Festival, National Gallery International Music, and Yerevan International Music Festivals in Armenia. Nara actively collaborates and performs with various instrumentalists and singers, including violinist Eli Matthews, first assistant principal of the Cleveland Orchestra. Classical pianist and harpist Sissi He has performed regularly in China with the Shanghai Philharmonic and Hangzhou Philharmonic. Now residing in New York, Ms. He performed in the American Ballet Theatre’s production of Manon and Giselle at the Metropolitan Opera House and Stern Auditorium at Carnegie Hall under the baton of Leonard Slatkin. She was also invited to give a solo performance at the Museum of Modern Art (MOMA), as well as other venues, such as National Sawdust and Merkin Concert Hall. Sissi was featured as a soloist with Bergen Philharmonic Orchestra. In addition, she was the winner of the Lillian Fuchs Chamber Music Competition in 2014. Ms. He has earned a Bachelor’s in Music from the Manhattan School of Music and a Master’s in Music and Music Business from New York University. Pianist Xinyu Wang began studying the piano at the age of four. She quickly began performing in public. 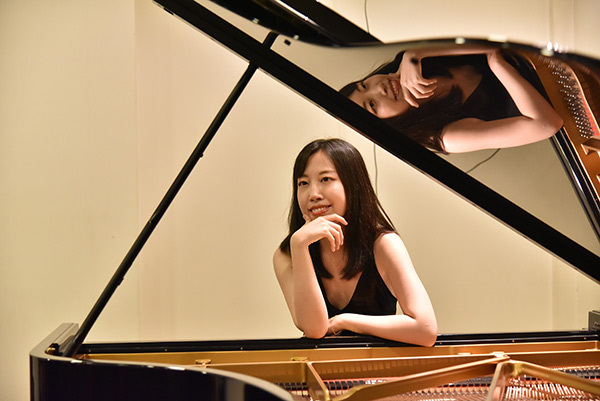 After received top prizes at the “Xinghai” Cup National Piano Competition in Tianjin and TOYAMA Asian Youth Music Competition in Beijing, she entered China Conservatory of Music. 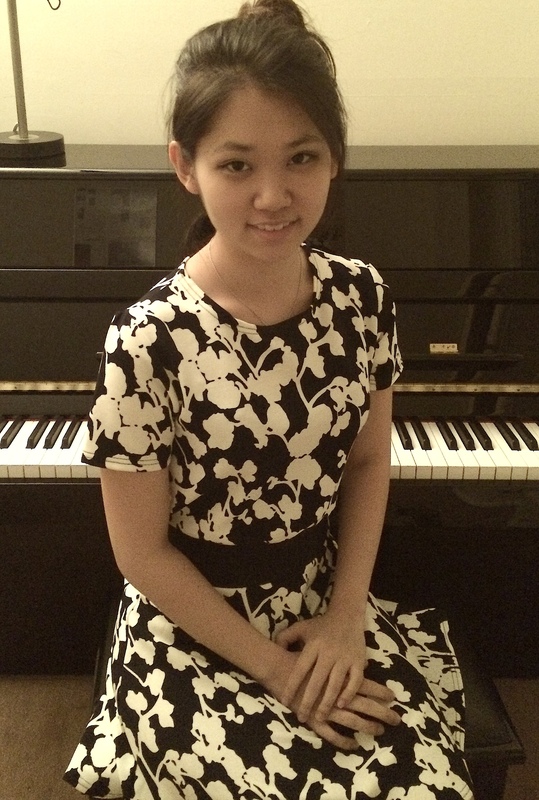 In 2012, Ms. Wang won the first prize at LaGrange Young Artists Competition in Georgia. In 2014, she won the first prize in the Piano Texas International Academy & Festival Concerto Competition. As a concert pianist, Xinyu has performed in Weill Recital Hall, Tenri Culture Institute in New York, Forbidden City Concert Hall, Capital Normal University in Beijing, Tianjin University, Steinway&Sons Hall in Tianjin, Jilin University of The Arts in Changchun, Ed Landreth Auditorium, PepsiCo Recital Hall in Texas, Lee University in Tennessee and Walnut Hill Music Festival in Natick, Massachusetts. As a soloist, she has appeared with the LaGrange Symphony Orchestra and the Fort Worth Symphony Orchestra conducted by Geoffrey Simon. 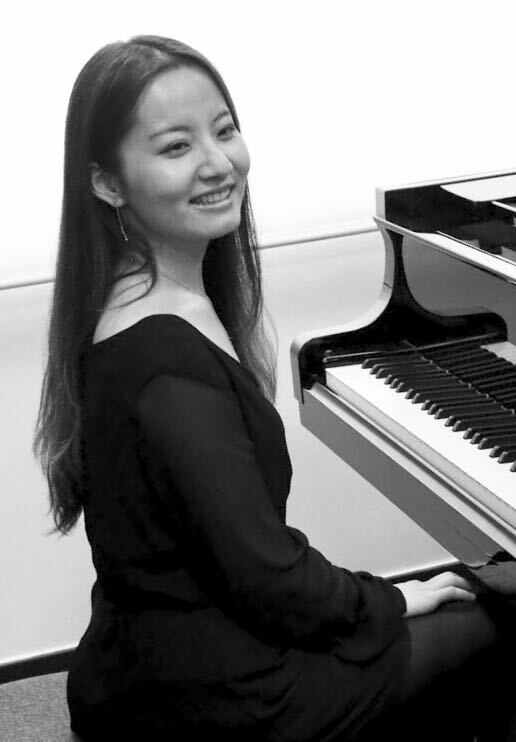 Xinyu Wang received her bachelor degree (2014) and master degree (2016) in piano performance from Manhattan School of Music. Pianist Jeanie Lee is a native of Seoul, Korea. She started to play the piano at age 4 and soon displayed special talent for the instrument. At age 7, she was accepted into the Songpa Music School for young and gifted musician under the training of professor Kyung Sook Shin. Few year later, after winning the 1st place in the Seoul Youth Piano Competition and Dong-Ah Piano Competition, Ms. Jeanie was invited to come to the united states to continue her music study. She was a prize winner of the International Youth Music Competition and received her bachelor degree in piano performance and master degree in music education from Hunter College. Since 2012, Ms. Jeanie Lee has been a member of the New York International Music Society. She has helped to prepare students to win the New York International Music Competition and performed in Carnegie Hall, Lincoln Center, Town Hall, Citi Field in 2013. 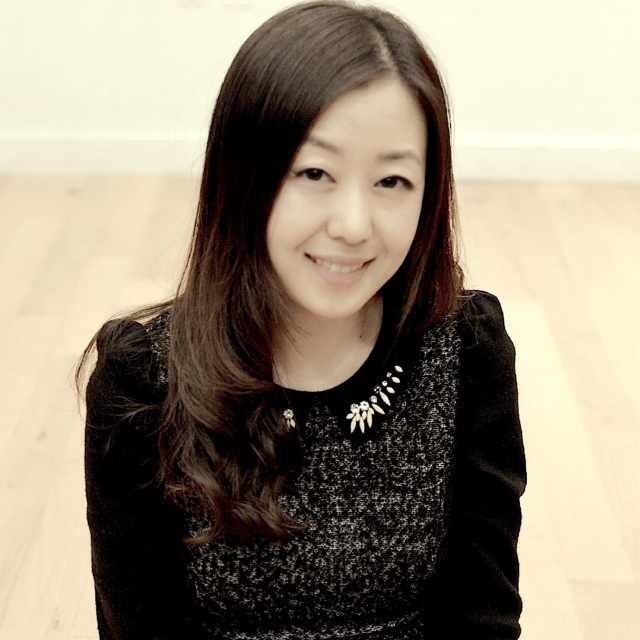 Ms. Lee currently serves as a faculty member in Herald Music School (Flushing) and Joyous Music School (Long Island). Pianist, Harpsichordist Ms. Jennifer Jia is a native of China. She received her Master of Music Degree from Manhattan School of Music in 2014 and Bachelor of Music Degree from Shanghai Conservatory of Music in 2012. In addition, Ms. Jia also holds Artist Diploma in Piano Performance and Harpsichord Performance from Indiana University. 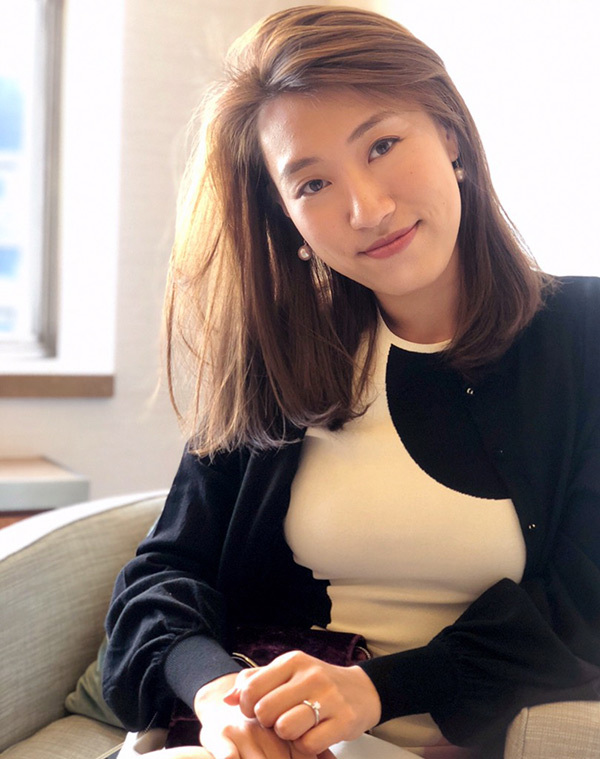 Formal 2nd prize winner of the Hong Kong International Piano Competition, Ms. Jennifer Jia is currently a doctoral candidate in Piano Performance. Joseﬁna Urraca was born in a musical environment in Palencia (Spain) in 1986. In 2012, she won the prestigious award from “Caja Madrid Foundation” honored by His Royal Highness the Prince of Spain. In the same year, Ms. Josefina was invited by Manhattan School of Music to continue developing her music career in the US where she later received her Master Degree in Piano Performance from the same school. Ms. Josefina was the winner of the “Luis Galvé Foundation” and “Albéniz Foundation” awards. She is also the prize winner in the “National Competition Rotary club” (Spain), “International Competition of piano Ciudad de Carlet” (Spain), “National Competition Veguellina de Órbigo” (Spain) and “National Competition Ciudad de Linares: Marisa Montiel” (Spain). She has performed in several concert tours in the U.S, Italy, Austria, France, England, Germany and Spain. Ms. Josefina now serves as the faculty member in Joyous Music School (Long Island) and Herald Music School (Flushing).